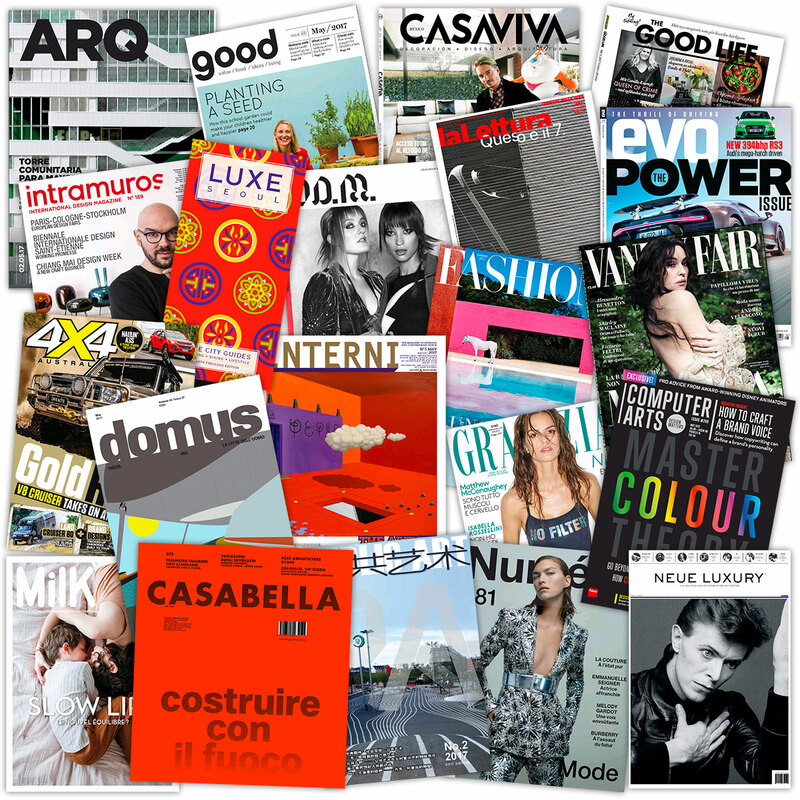 We get stacks my magazines to NOTCOT regulary ~ fashion, automotive, business, tech, travel ~ so exciting when they arrive, yet finished so quickly, i often feel a slight guilt as they fill the recycling bin. 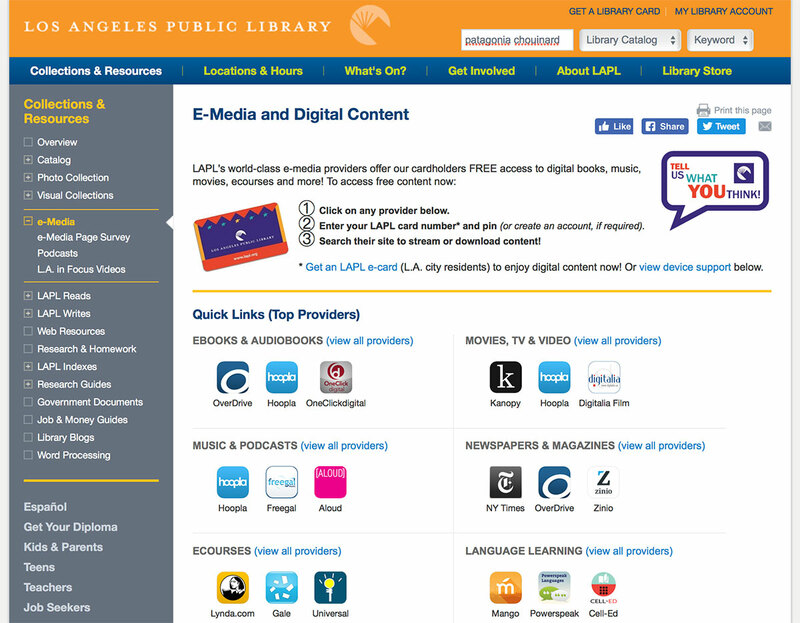 To my surprise, the Los Angeles Public Library has quite the assortment of E-Media and Digital Content Resources available online, and you can access them all with either your LAPL (physical) card, or you can get an LAPL e-card just by registering online. Additionally you can easily borrow eBooks with your e-card online as well from both the LAPL (i just filled my kindle apps up with some for the flight tomorrow!) as well as some of the other services they’ve partnered with like Overdrive. 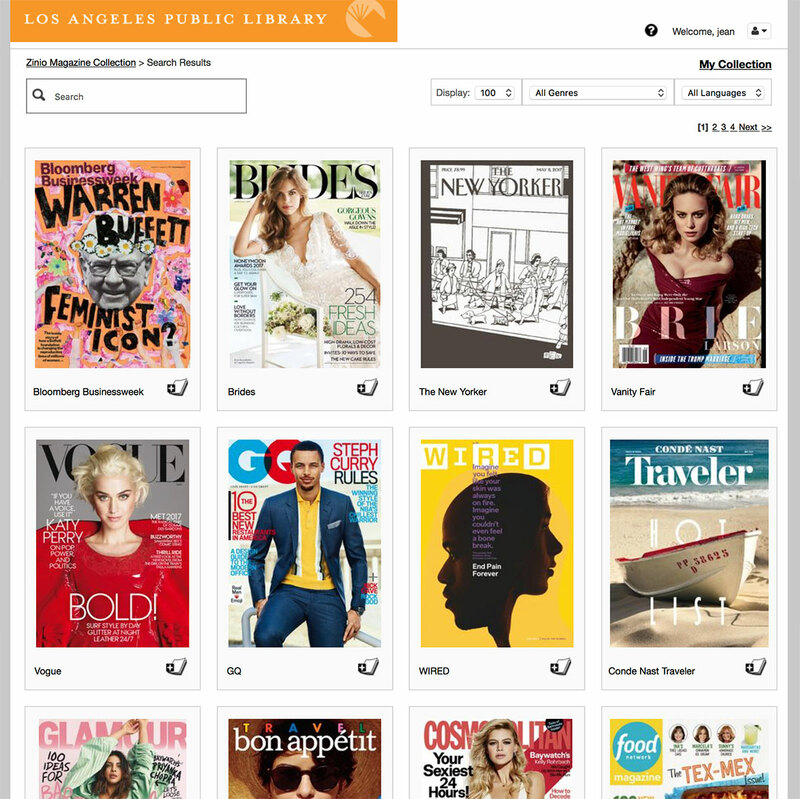 Through the LAPL E-Media Portal you can get digital passes to read the NYTimes, take e-courses, listen to audiobooks, and peruse so many magazines and newspapers it’s making my head spin. Most of these services would normally cost you, but entering through the public library portal, they are free. 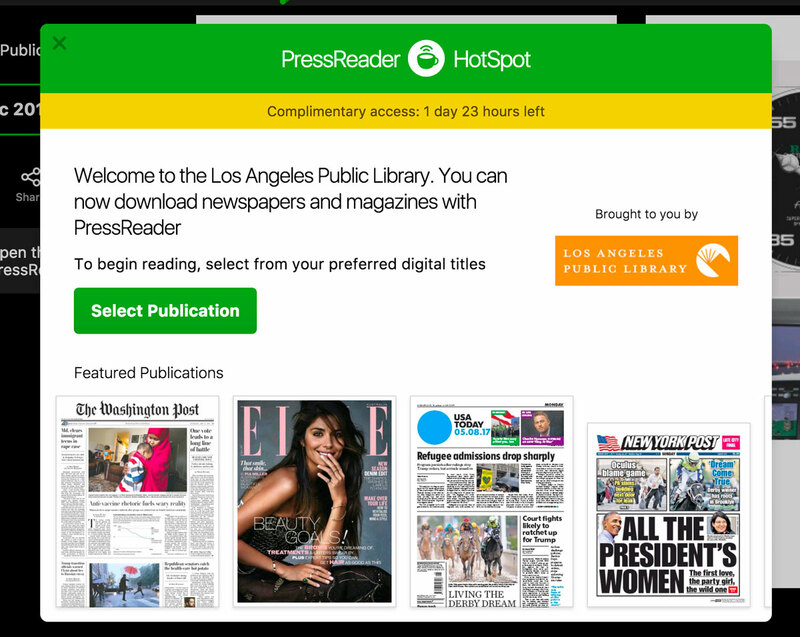 But the most incredible resource i’m loving is what the LAPL and PressReader provide! 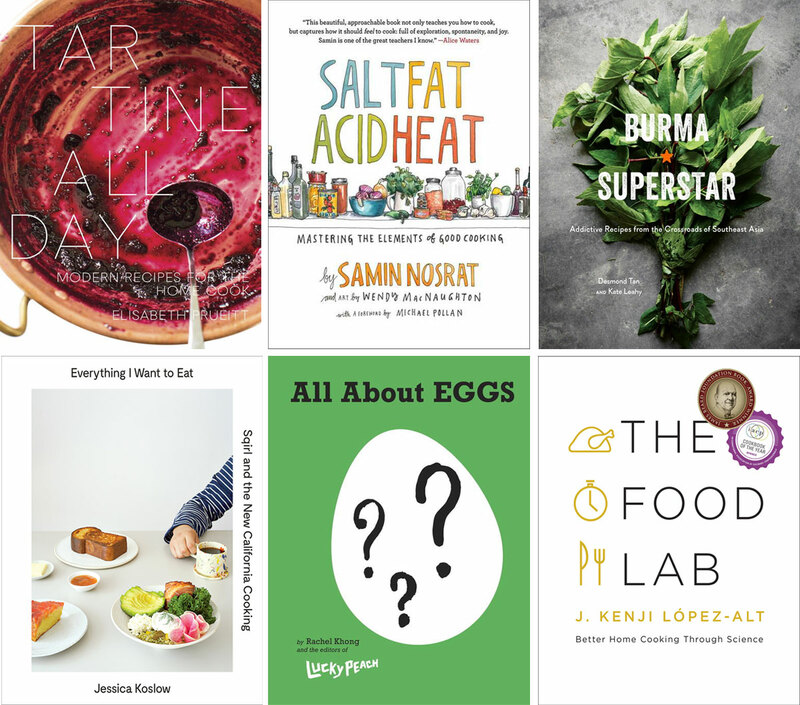 I’m so excited and inspired to have new (and totally overwhelming) sources of content to lose myself in. 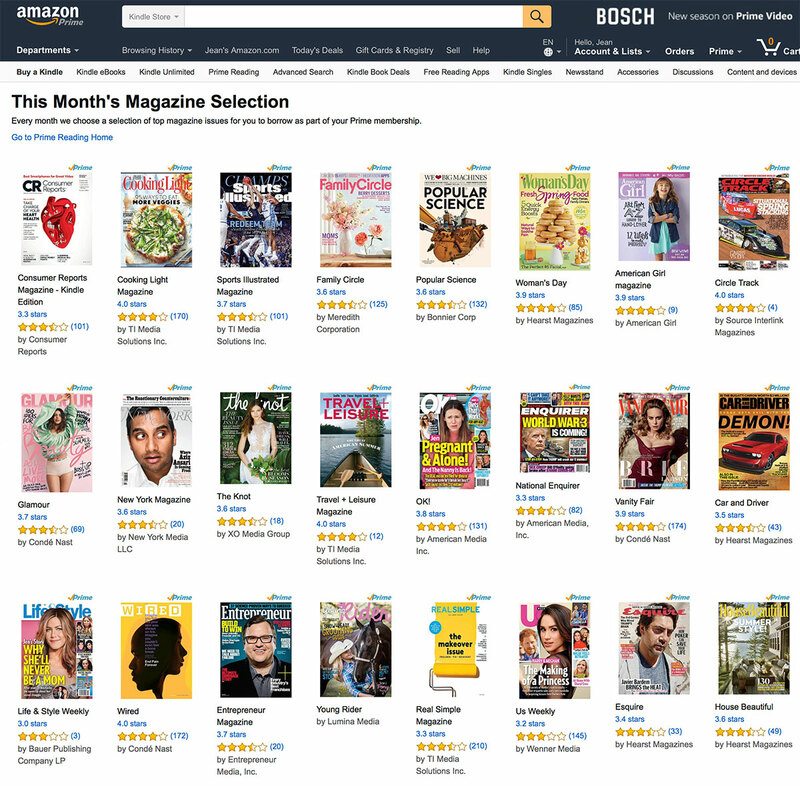 So there’s my current list of free book and magazine resources… have any i should add? What do you use? And if you have Amazon Prime or a local public library ~ make use of all they have to offer! Thank you for compiling this list. 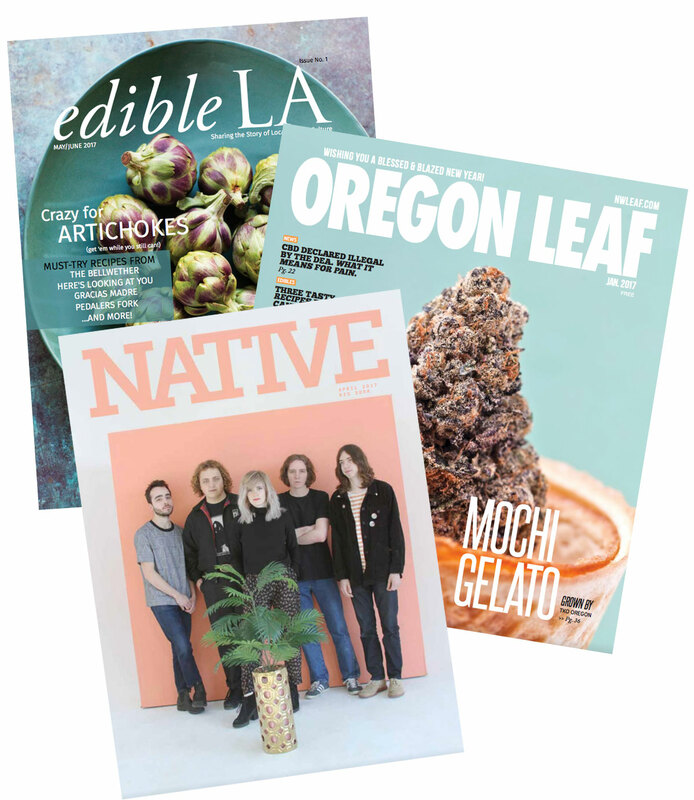 As a magazine art director, I’m always looking to the newsstand for inspiration and this will prove invaluable!